Maccabeats Added to Shwekey Show! 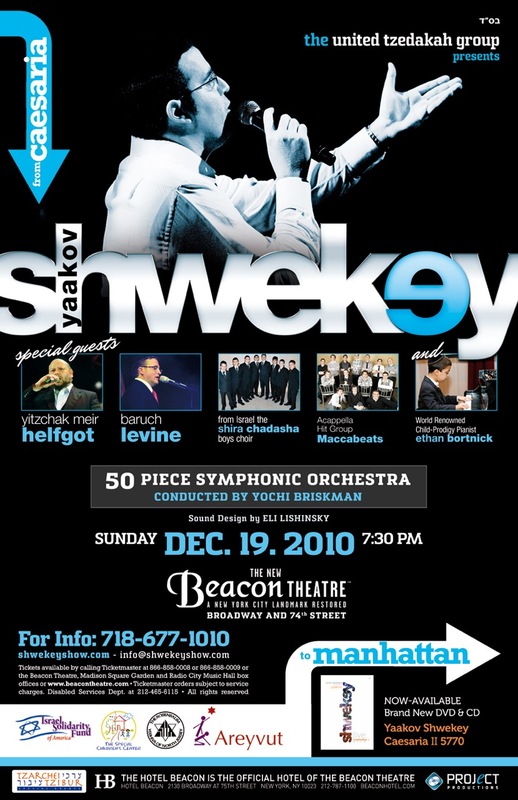 Shwekey Back to-the Beacon, December 19, 2010 – The concert will feature Yaakov Shwekey, Baruch Levine, Cantor Yitzchak Meir Helfgot, from Israel, the Shira Chadasha Boys Choir and Ethan Bortnick! The Maccabeats have now just been added to the show! For tickets call 718-677-1010 or go to www.shwekeyshow.com or email info@shwekeyshow.com.